As the main event of the weekend, one must be selective in their brunch spots. Since my brunching opportunities are limited #realtorlife, I've become even more selective in my afternoon endeavors and try to only go somewhere if genuinely recommended. 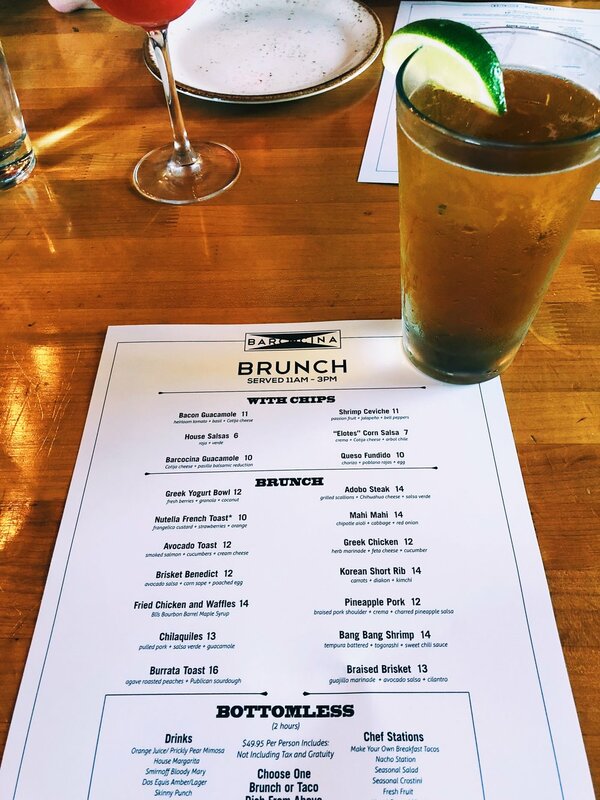 When one of my best friends, Kevin, invited me along with his family for brunch at Barcocina I figured that if it was good enough for the whole fam, it was definitely worth trying. If you’ve never been to Barcocina, it’s one of the newer establishments along Sheffield Avenue. It’s also one of the most memorable buildings on the block with a refreshing, white exterior & extensive patio. Walking in, it has a very trendy industrial barn vibe. There’s a breeze coming in from the restaurant’s multiple opened garage doors. The patio is just as cute & filled with plenty of seats. It’s definitely an instagrammable spot. I confirmed this by watching an entire table spend pretty much their entire 2 hours taking photos of each other. One of my favorite perks of the brunch was that it was bottomless. For about $50 you’re able to get a main dish, access to the buffet & all the drinks for 2 hours. And let me tell you, people were making that $50 count. Sitting next to the buffet, I noticed the same groups of people heading up to the food multiple times. Hello, all you can eat chips & guac? Yes please. The main dish was tasty, and the buffet food was actually pretty good for buffet food (think, chips & guac, nacho station, carved meats, salads, crostinis and fruit). The endless drinks included mimosas, bloody marys, margaritas, Dos Equis, Michelada, Two Brother's Coffee & a skinny punch. Other than the slower service, which is to be expected at any place full of endless eating/drinking brunchers, I would definitely go back again! Barcocina is located at 2901 N Sheffield Ave in Chicago's Lakeview neighborhood.